1. Open the Windows SBS Console. 2. Click Network > Connectivity. 3. 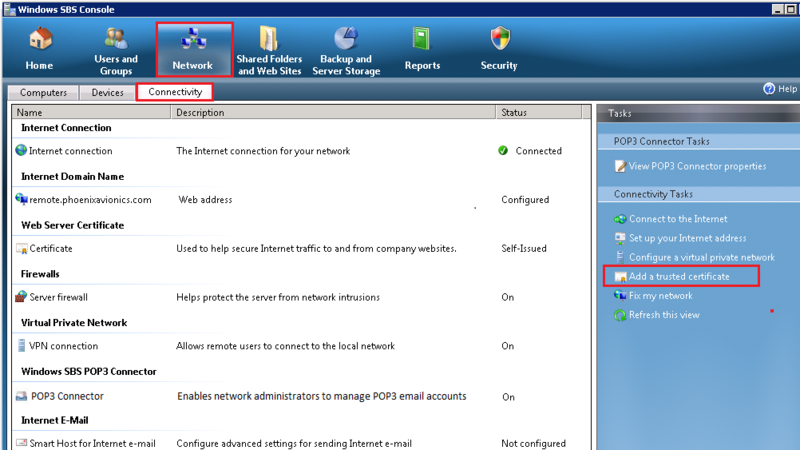 On the Connectivity tab, under Task, in the Connectivity Tasks section, click Add a trusted certificate. 4. 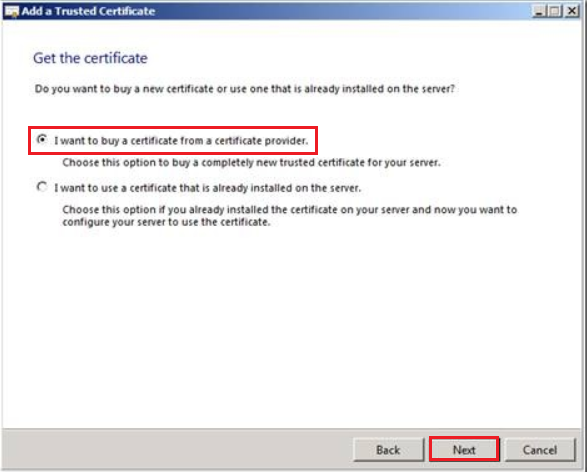 In the Add a Trusted Certificate wizard, on the Before you begin page, click Next. 5. 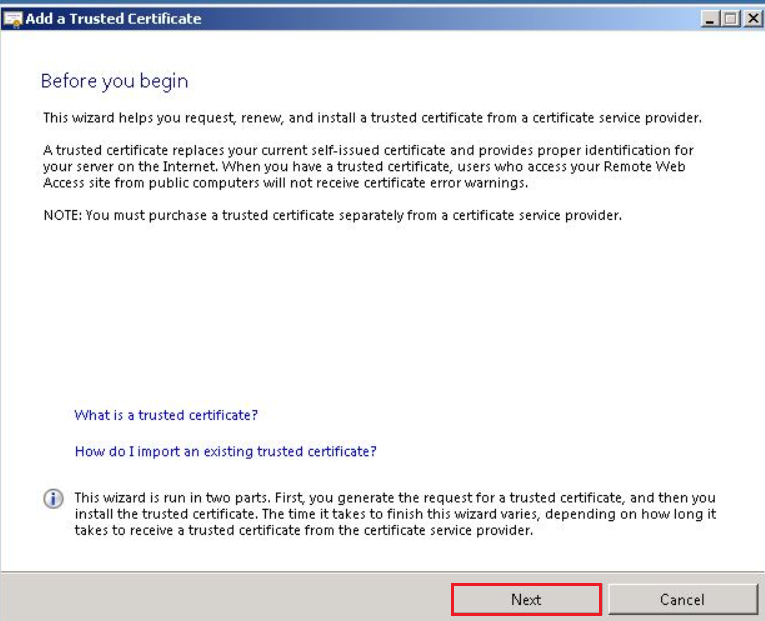 On the Get the Certificate page, select 'I want to buy a certificate from a certificate provider' and then, click Next. 6. 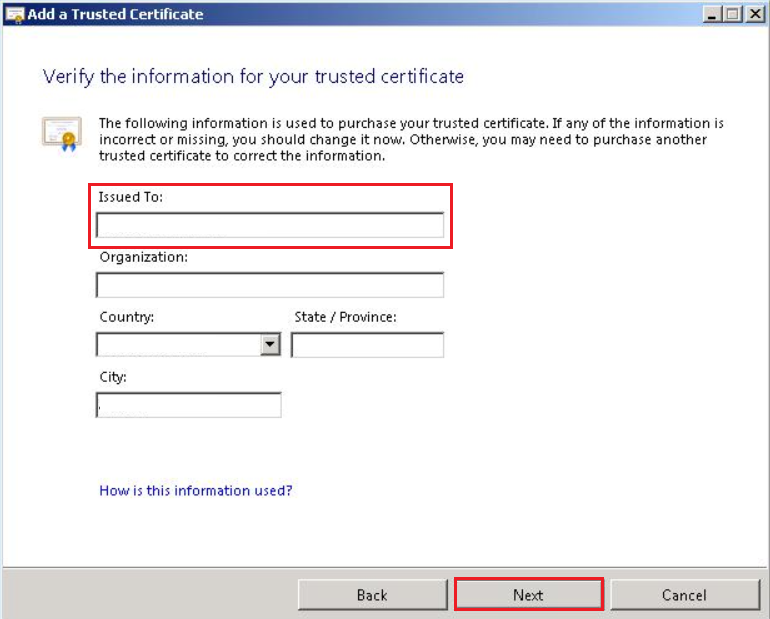 On the Verify the information for your trusted certificate page, make sure that the information is correct. If any of the information is incorrect, update it at this time. Note: In the Issued To box, make sure that the external domain name matches the one that you used the Internet Address Management Wizard to configure. 7. Once you have verified that all the information is correct, click Next. 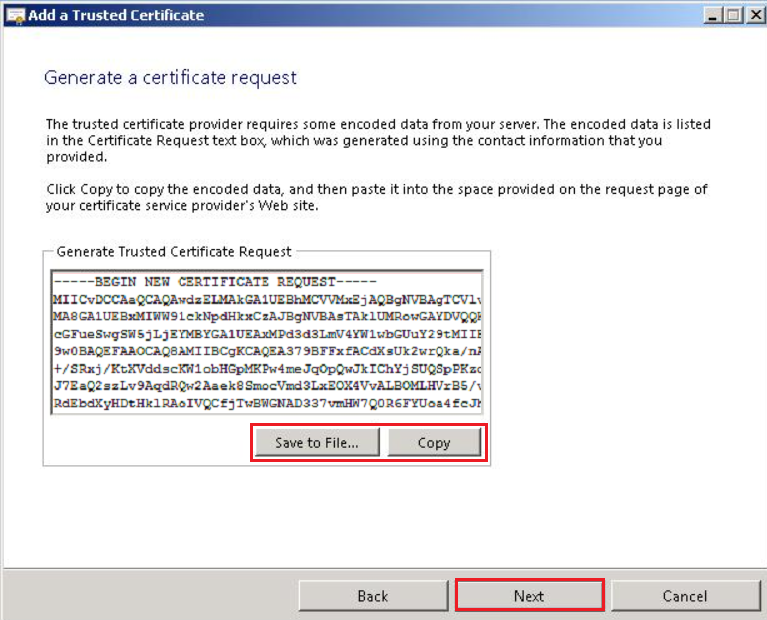 The wizard then generates your certificate signing request (CSR). Click Save to File. Saves the CSR as a .txt file. 9. Use a text editor to open the file. Then, copy the text, including the -----BEGIN NEW CERTIFICATE REQUEST----- and -----END NEW CERTIFICATE REQUEST----- tags, and paste it into the Comodo CSR text field. 10. 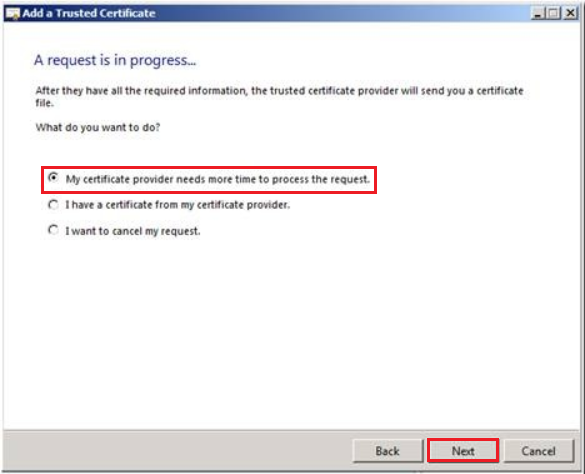 In the Add a Trusted Certificate wizard, on the Generate a certificate request page, click Next. 11. On the A request is in progress page, select 'My certificate provider needs more time to process the request' and then, click Next. 12. On the Import the certificate request is postponed page, click Finish.